Alexis Holman is a speech-language pathologist located in Atlanta, GA. Practice Type: • Center Practice Areas: • Speech Language Pathology • Accent Modification Take the next step and contact Alexis Holman for a consultation in Atlanta, GA or to get more information. Stacy Bennett is a speech-language pathologist in Marietta, GA. Practice Type: • Home Health Agency - Client's Home Practice Areas: • Speech Language Pathology • Speech Therapy Take the next step and contact Stacy Bennett for a consultation in Marietta, GA or to get more information. Building Bridges Therapy provides speech, occupation, and physical therapy services to children and young adults. Social skills groups are offered for children ages 2 and up. Now offering aquatic, music, and behavioral therapy services. Therapy services are provided in the clinic and when available in the home on an as needed basis. Jarena Campbell is a speech-language pathologist in Atlanta, GA. Practice Type: • School Practice Areas: • Speech Language Pathology • Speech Therapy Take the next step and contact Jarena Campbell for a consultation in Atlanta, GA or to get more information. Sylvia Muwallif is a speech-language pathologist in Stockbridge, GA. 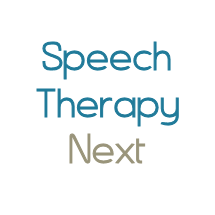 Practice Type: • Self-Employed Practice Areas: • Speech Language Pathology • Aphasia • Speech Therapy • Swallowing disorders Take the next step and contact Sylvia Muwallif for a consultation in Stockbridge, GA or to get more information. Jennifer Siemer is a speech-language pathologist in Peachtree City, GA. Practice Type: • Home Health Agency - Client's Home Practice Areas: • Speech Language Pathology • Speech Therapy Take the next step and contact Jennifer Siemer for a consultation in Peachtree City, GA or to get more information.